Online mega-retailer Amazon.com is launching a fleet of 40 full-sized cargo jets to ship the immense quantity of crap we’re all buying on the site. 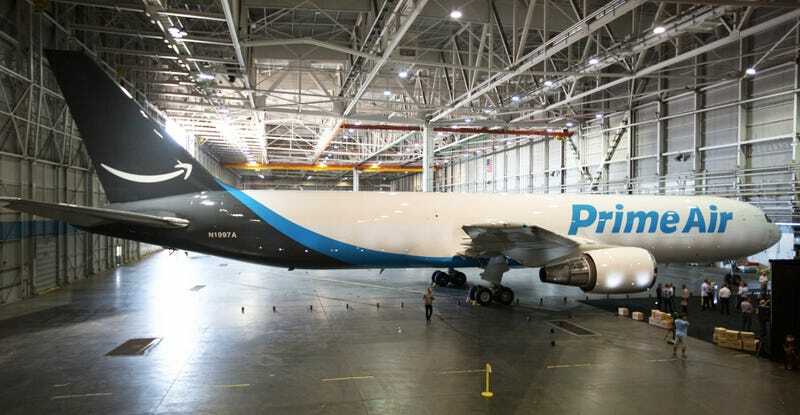 The “Prime Air” flagship, a Boeing 767-300 christened Amazon One, makes its debut in Seattle today. 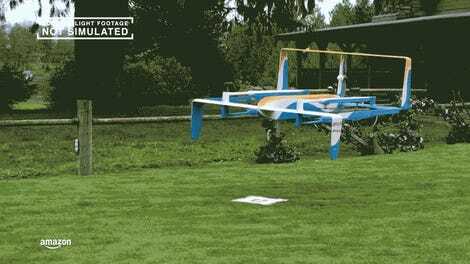 Sure, that drone delivery idea is a lot cuter and more 2016, but it sounds like a squadron of air freighters is going to be a lot more effective at getting your orders from the internet to your house. The company as agreed to lease the jets through its air cargo partners Atlas Air an ATSG, according to a press release. At this moment those outfits are already operating 11 jets dedicated solely to moving products for Amazon.com customers, and the fleet is slated to grow over an unspecified period of time. Plane production company Boeing says their 767-300 freighter has more than 15,469 cubic feet of total cargo volume, can lift about 58 tons and move it over 3,255 nautical miles in one shot. The main deck is designed to carry 24 88 x 125 pallets of cargo with seven more in the lower hold. 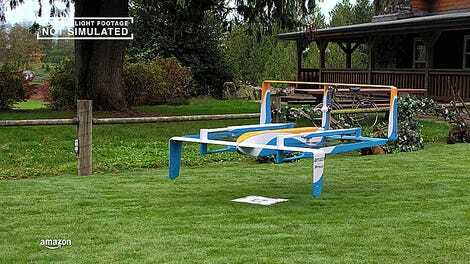 When the whole fleet of 40 planes are flying, 1,240 pallets of Amazon.com goodies will be heading to your houses. That’s in addition to the 4,000 semi-truck trailers the company already has operating on the ground, moving junk from 125 fulfillment centers and through 20 sorting centers. This company is officially a logistical powerhouse. As to how exactly this will affect us as consumers I’m not entirely sure, but hopefully the practical benefit is at least faster shipping for those things we so desperately need. While you’re waiting for whatever you just ordered, want to watch the plane get painted?